It doesn’t look like much – a tatty little paperback with smudges of colour seeping through the grazes of its cover – but there’s perhaps no book that’s had a greater influence on my life. It was a Big Bang moment when the Usborne Pocket Atlas of the World turned up in my Christmas stocking as a kid in England. There and then, the universe unfolded into infinity. My imagination exploded. Simple points, but they sank in deep. I read Modern Languages at university, cycled round the world and became a journalist. These days I live by the beach on the Mornington Peninsula with my Australian wife (she wishes I hadn’t learnt point 5), work for a wine importer and have just completed my WSET Diploma. 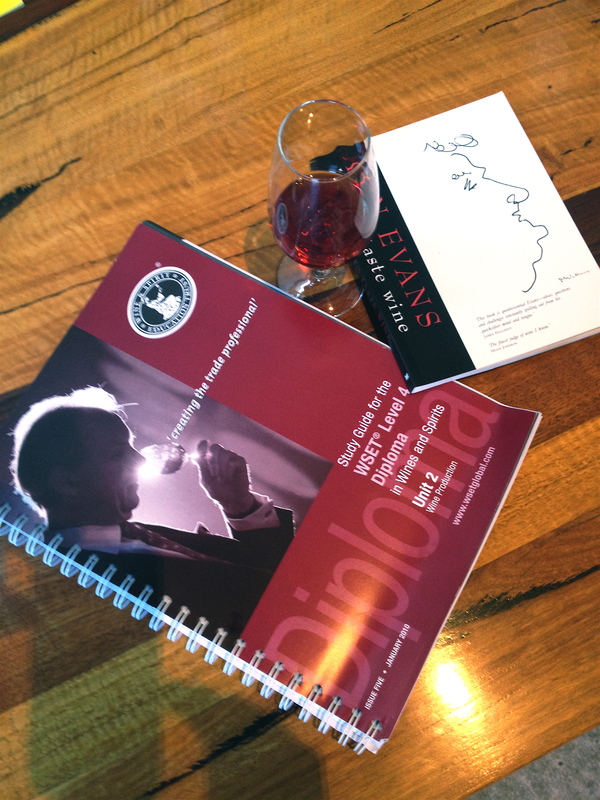 The Diploma is the fourth and final level of a global course run by the London-based Wine & Spirits Education Trust. The course covers every aspect of wine in its still, sparkling and fortified guises – from viticulture and winemaking to business and culture, with most exams split into a tasting and theory component. It’s thorough and demanding. Not hard exactly, in that students are not set up to fail; if you do the work, you should go OK. But it’s the work that’s the hard bit. From where I live amid sea and vines, it’s more than an hour’s drive to the city where I work most days. The question of how to cover the hours of study on top of full-time work and full-on family (a six-, four- and one-year-old when I started the course two years ago) had to be solved somehow. The only way was to breathe life into the dead time of commuting. Late at night I’d record myself reading the key texts, then play them back in the car next day. My basic, bloody-minded method was to start with the course book, back it up with the corresponding pages of The World Atlas of Wine, and then hammer the points home with the Oxford Companion to Wine. I made no attempt to jazz up my presentation; it was about ploughing through. On an on I’d trudge through heavy yawns and the stumbling of a torpid tongue. More than once I fell asleep, map in hand, another lost explorer defeated by exhaustion. The revelation came in the car. The course book itself is dry as the most mouth-sucking Chablis (but nothing like as palatable). Every time I hit a passage from the atlas, however, the pace picks up and the flat-lining delivery jolts into peaks and troughs. It’s the invigorating force of passionate, purposeful prose. Without doubt the aptness of an atlas to tell wine’s story is part of it. But listen again to the cadence of Johnson’s sentence, its articulacy and sheer good sense, and you see why he and co-author Jancis Robinson are such brilliant guides on a tour of the world of wine. They transformed the freeway into the Rhône, the Rhine, the Danube and the Douro. Towering above me were the Mayacamas, the Vosges, the Hottentots Holland and the hill of Corton. You see the sights and hear how geography, geology, topography and climate intertwine. History and tradition are seamlessly woven into every tapestry. Fortunes rise and fall, pioneers are praised and the odd admonishment is dished out. Thus Germany is chided for confusing people and Italy for its leniency towards “dreary” Trebbiano Toscano. The writing is rich and respectful, precise but not stiff. It’s inviting, flinging open its doors and impelling you to stay. Always authoritative, it wears its learning lightly. This is the kind of nourishing sentiment that prevents the intense, gruelling nature of study from sucking the fun out of wine. 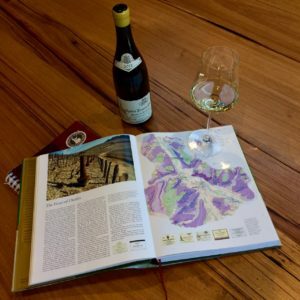 Like the best hosts – and the humble winegrowers who entreat you to drink deep from their well of hard-won wisdom – the authors of The World Atlas of Wine make you feel utterly at home no matter where in the world you are. I’m grateful to them for carrying me on their fluent, cultured tide to the latest port on my journey. 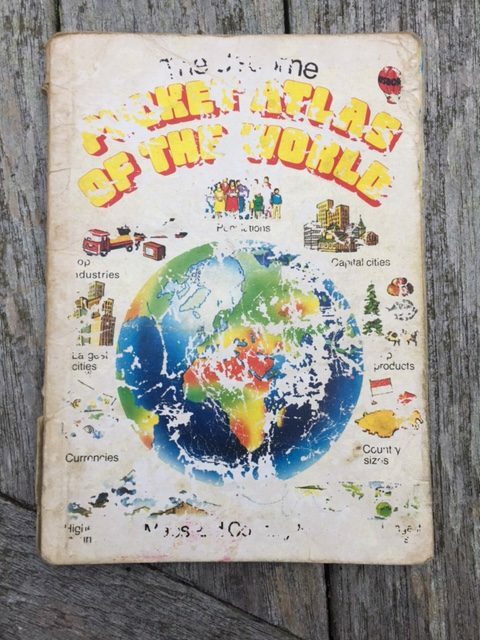 When I think of that dog-eared atlas from all those years ago… What choices it inspired! Imagination was the theme of Davis McCaughey’s speech when the Victorian Governor of the time opened the brand-new Stonier winery back in 1991. It was imagination that led to the planting of grapevines in the hills of Merricks, imagination that dreamt up a building “important for its function and a place of beauty in itself”. In that speech Dr. McCaughey quoted British philosopher Mary Warnock, author of Imagination & Time, and her assertion that the great end of education is to stop people being bored. I wonder what the two of them would have said about wine education. You needn’t be an expert to enjoy the stuff; perhaps it’s an indulgence too far to spend time studying it. And what if an analytic approach were to drain wine of its joy? Or worse, turn you into the kind of wine-gargling know-all you go out of your way to avoid having a drink with? Wine education is booming. Everywhere you look someone’s offering a masterclass, short course or meet-the-maker evening. Then there’s the formal side of things, from the multi-tiered Wine and Spirit Education Trust (WSET) awards to the revered Master of Wine. WSET now offers courses in 17 languages across 62 countries. Just shy of 50,000 people sat for one of its qualifications in the last academic year, representing a fourfold increase over the past decade. So why take the plunge? Len Evans, the late, great Australian wine evangelist, offers a typically blunt response: “You bother to learn about wine in order to enjoy it more.” Assessing wine from a technical point of view is just one aspect of this, but it’s an important one. This means understanding the interplay of a wine’s sensual and structural elements. It’s not about putting every drop that passes your lips under the microscope. But knowing what you like gets you nowhere. Knowing why you like it is a step on the journey to more wine you’ll enjoy. The idea of a journey is an important one, since history and geography are written into every detail of wine. Where were the grapes grown? Why do they grow those varieties? And why does the wine taste the way it does? Already we’re travelling through time and space, broadening horizons and drawing a map to aid further exploration. It’s all the more pleasurable to explore when you move with self-assurance. Let’s face it: wine can be intimidating, with its arcane language, traditions and hierarchies. Gaining a sense of ease about your palate leaves you to relish the prospect of choosing and sharing a bottle, with no heed to fashion or 100-point scores. The rules of service can seem like another minefield, but seeing the rationale behind convention – serving temperature, stemware, food pairing – frees you from blind obedience. Stick to rules that make the wine more enjoyable and ignore the rest. This piece was first published in the Stonier Newsletter Autumn 2014 and is reproduced with the kind permission of the winery.